Gear rack taping heads work with a gear drive system. The tape is first loaded onto the taping magazine and at the same time it is also taped onto the core. 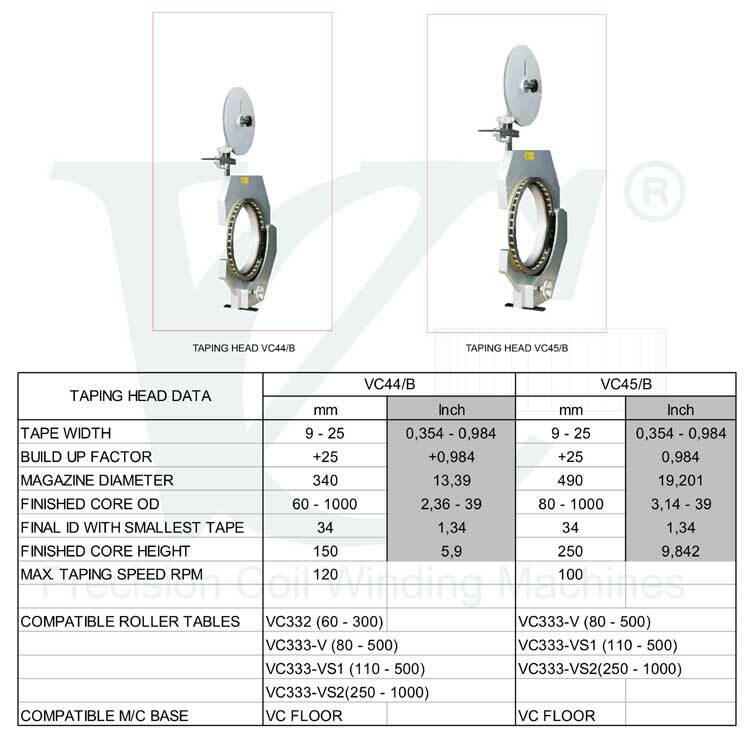 A flat leather belt which sits on the outside of the taping magazine controls the tape tension . The tape automatically is cut when the needed length of tape is loaded.